For anyone who has worked with us, you know they’ve succeeded. 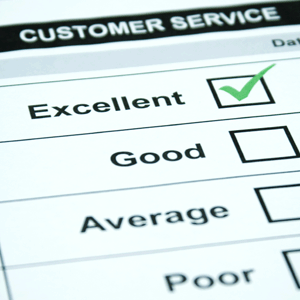 Providing high quality across the board is our mantra, and that is especially true when it comes to customer service. We explanded the business on our marketing side to include customer service, and we now have 2 full-time shifts of customer service experts working to cover different time zones. If you have a question, we will answer it quickly, no matter what time it is. After all, these are your family’s memories in our hands, and we are happy to reassure you that they are in very good, very capable hands. Word of mouth marketing is a critical part of our marketing strategy. We have proven that going all out to dazzle our customers results in a tremendous amount of word of mouth and referrals. Nowadays, having a great experience with a company is unfortunately rare. An extraordinary experience will get shared! We don’t talk about it a lot, but privacy is actually one of our specialties. All of our employees sign confidentiality agreements, so no matter who you are, whether you’re a celebrity, a high-profile CEO, or a politician, your name, address, and photos remain private and are never shared. Our new concierge customer service program is part of ScanMyPhotos.com for Enterprise Business, which is used by people, companies, or organizations that send us huge orders of photos (10,000 or more) to be scanned. When you use this service, you’ll have one person dedicated to your order who is always available to answer your questions, from the delivery to us, through fulfillment and shipping it back to you. Your concierge will also follow up afterwards to make sure the order was completed to your satisfaction. Whenever a customer phones or emails us with an issue, question, or comment, we log that conversation in our system to help us provide you with the most accurate and helpful information specific to your order. Additionally, we keep customers updated throughout the digitization process via email so you always know the status of your order – when it was received, when scanning is complete, and when it is shipped back to you. If you want to experience this level of customer service, send us an order! No matter how big or small that order is, you’ll get to see what customer service at ScanMyPhotos.com is all about. This entry was posted in Uncategorized and tagged business process, customer service, Enterprise Bulk Scanning for Business, photo scanning, privacy by Mitch Goldstone. Bookmark the permalink.